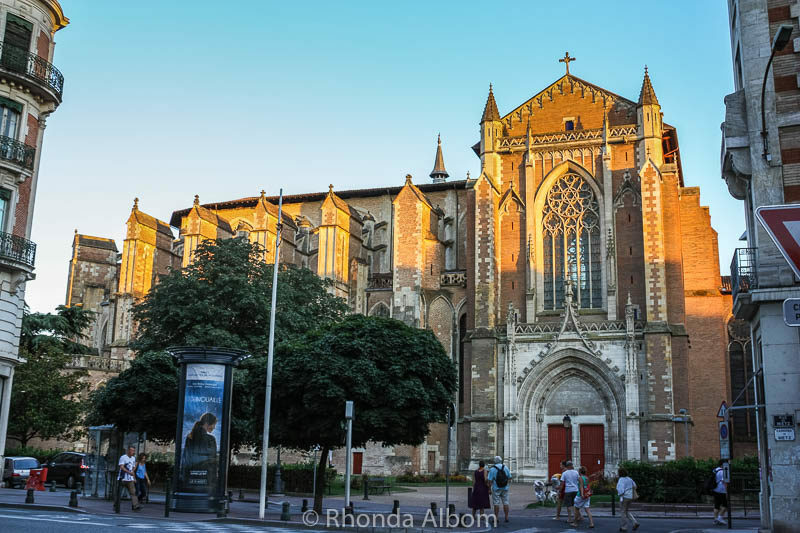 Toulouse is an eclectic mix of medieval architecture and modern aerospace leaving visitors wondering what to do in Toulouse first. 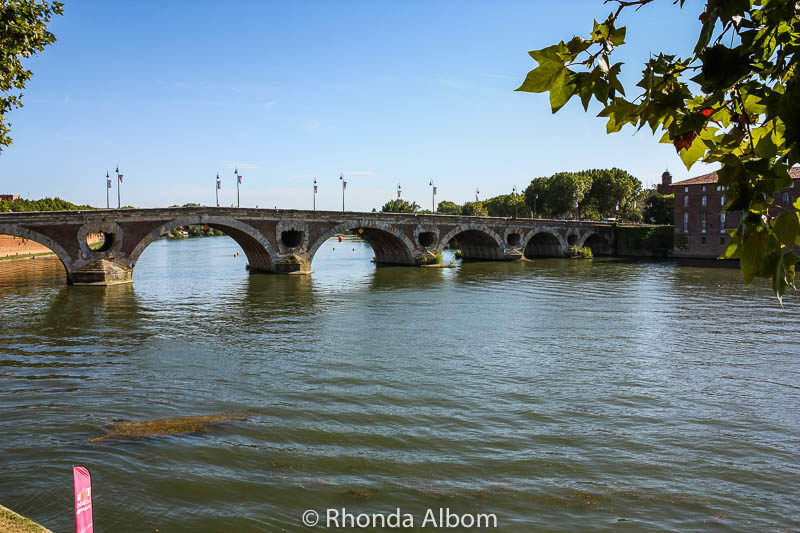 Located on the banks of the Garonne River, its charming streets make it ideal for walking. One look at the faded red-brick facades of the old city and you will instantly understand the nickname “La Ville Rose” (The Pink City). A main square in the city is home to The Capitole (the city hall), shops, cafes, and frequent craft, art, or farmers markets. Originally founded in 1190, The Capitole is believed to be the location that St Saturninus (Bishop of Toulouse) was martyred by being tied to the legs of a bull and dragged down the steps. 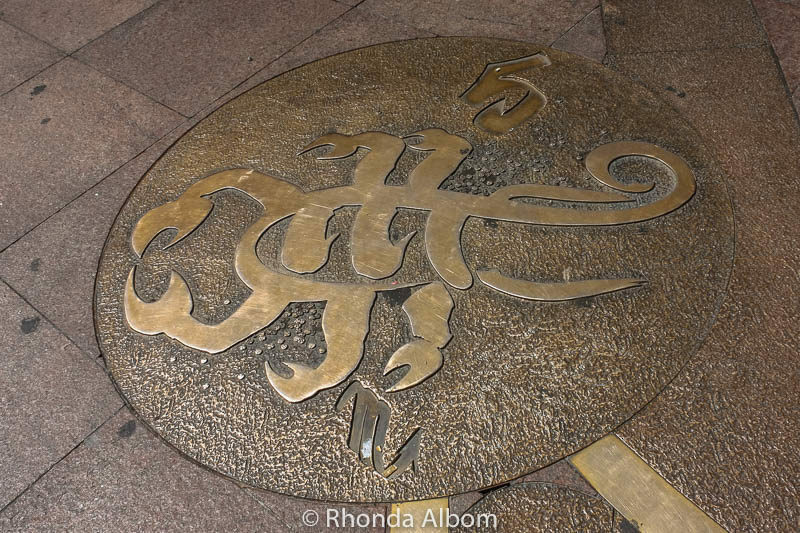 Zodiac symbols displayed in the square. 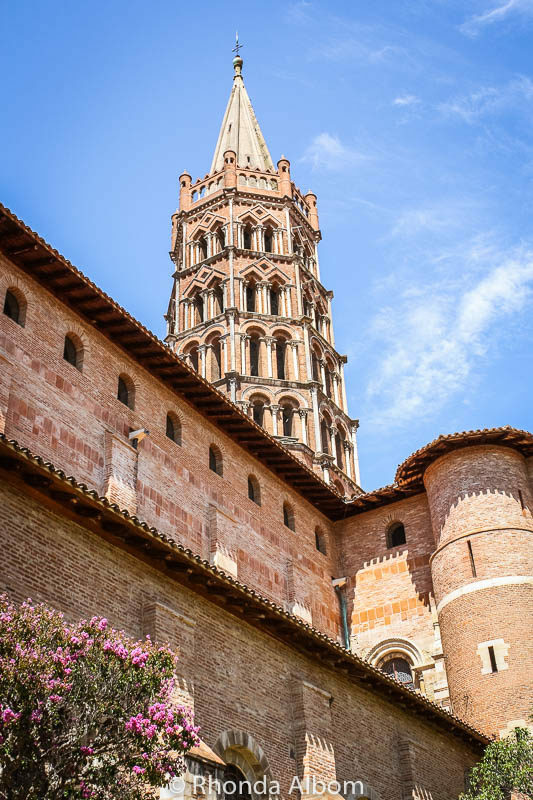 The 11th-century Basilica of St. Sernin, the largest Romanesque church in Europe, was built to aid the crowds of pilgrims on their way to Santiago de Compostela. 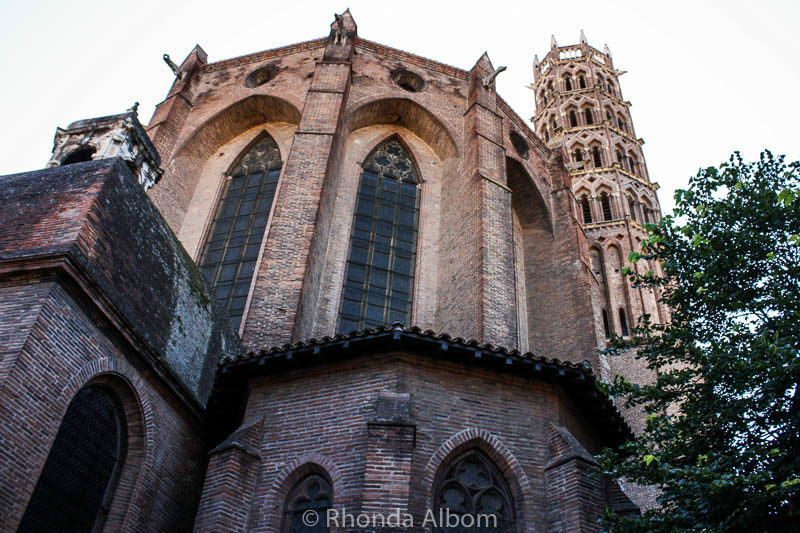 Don’t miss these photos of the Romanesque Sculpture and Frescos InsideBasilica St. Sernin. Jacobin Convent is a Dominican monastery completed in 1229. Impressive stained glass and tall columns in the church at Jacobin Convent. Entry to the convent’s peaceful cloister is by donation. Toulouse Cathedral (also called Saint Stephen’s Cathedral or Cathédrale Saint-Étienne). Toulouse is part of Aerospace Valley, home to hundreds of companies affiliated with the industry. Located in and around Toulouse are Airbus, Air France Industries, Dassault Aviation, and Cite de L’Espace (theme park). **Reservations are required to visit Airbus. If you are not carrying an EU passport, you must purchase two full working days in advance. Also, Airbus tours are strictly no photography. This is a replica of Mir, a Russian space station. 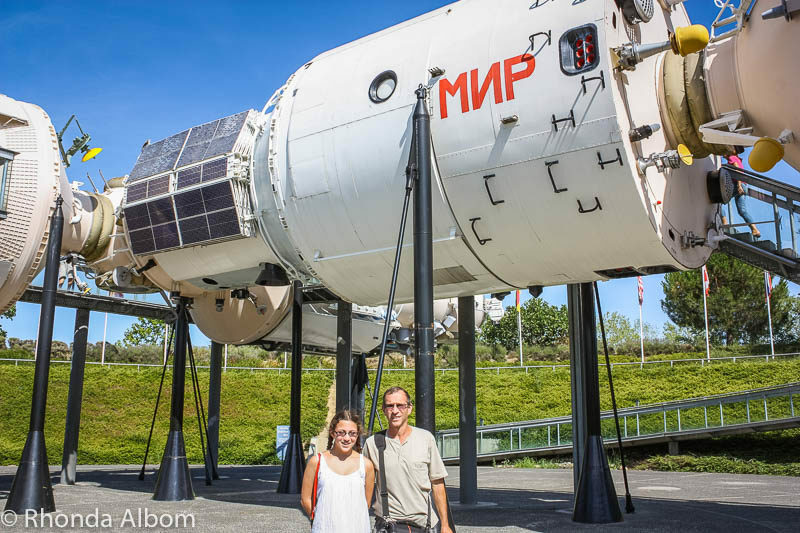 Read more about our day at Cite de L’Espace. Pont Neuf was completed in 1632 and is the oldest bridge in the city. Ferris wheel across the river. The Foundation Bemberg houses Georges Bemberg’s collection of artworks. We loved walking down the residential streets of this idyllic town. Narrow streets and fascinating architecture are everywhere. It’s the little things that make Toulouse so charming. Stroll through peaceful Japanese gardens at Jardin Japonais. Settle into a cafe for breakfast, lunch, afternoon coffee, or people watching. Dine on top-notch cuisine at one of Toulouse’s nine Michelin Star restaurants. Music aficionados can listen to Jazz or dance the night away with techno or rock. Enjoy a more sophisticated evening with ballet or opera at Theatre du Capitole. 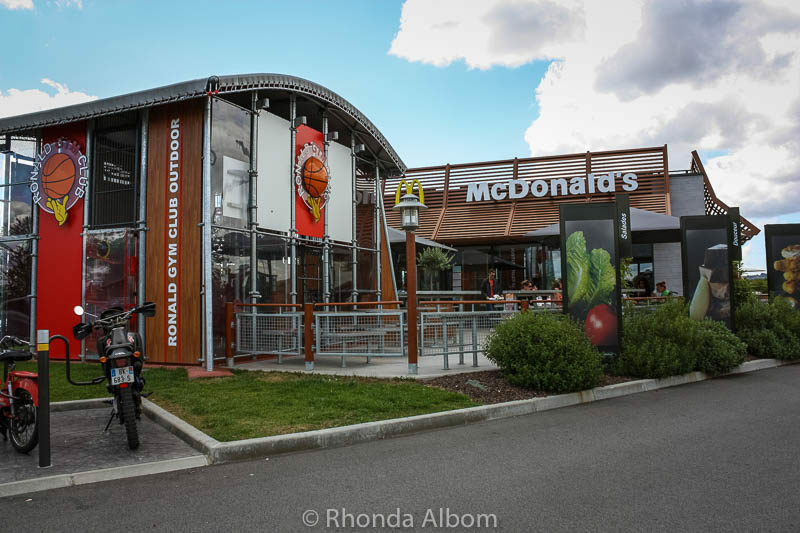 With its basketball court and gym, even the McDonald’s is interesting. A fountain in Place de la Trinité. Toulouse is France’s fourth largest city. Once in town, head to the office of tourism to pick up free maps and purchase tickets for Cite de l’Espace and river cruises. If you are planning to take the city bus tour, compare current prices at Viator. 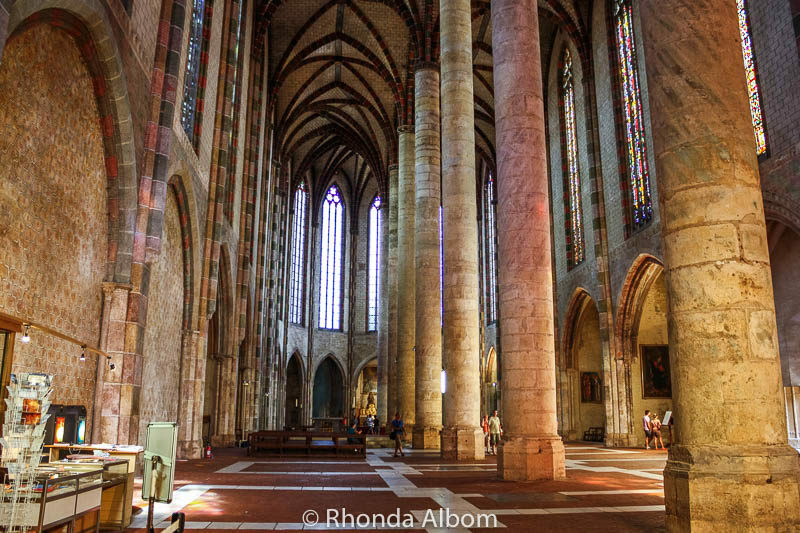 Take a free tour (with a donation) at Basilica of Saint Sernin. Free street parking is available in Toulouse from August 1 to August 15 as many family businesses are closed. The downside is the shockingly hot weather during these two weeks. 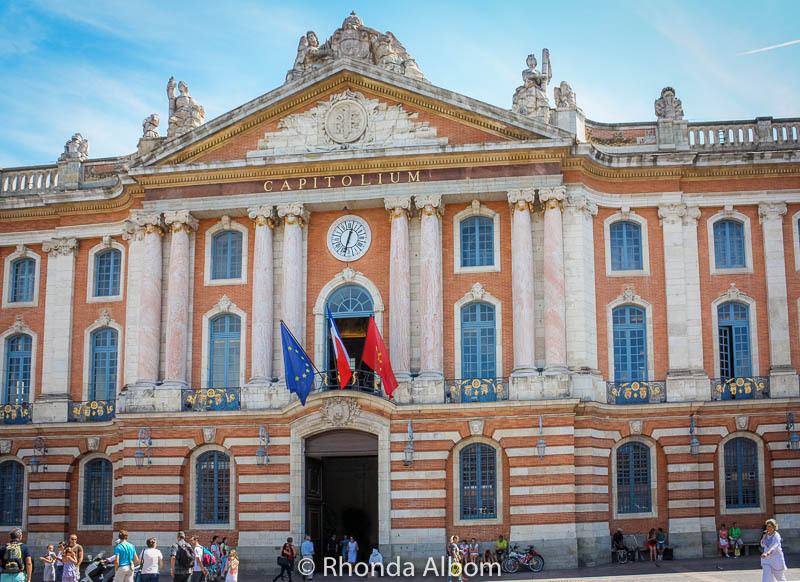 If you’re arriving via the Toulouse train station, check prices and find the Eurail pass that is right for you. We stayed in an apartment at Residence de Diane. As we were there in the slow season, it was easy to extend our stay by several days. Check prices at Booking.com. Toulouse is situated in the Midi-Pyrenees region of France. 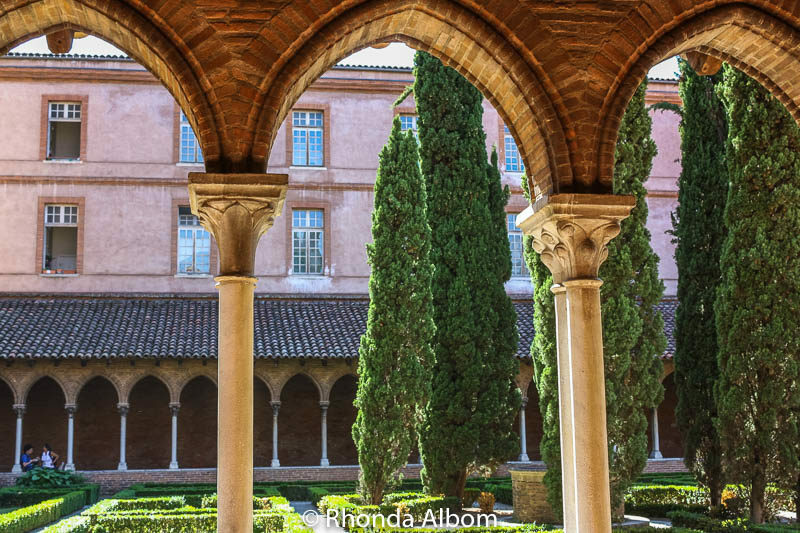 Which of these things to do in Toulouse appeal to you? Such a beautiful place. Love your photos….just awesome! Actually, we didn’t plan on the McDonalds. We were starving by the time we go to town, and it was the first place we saw that sold food. Glad you giggled at the “couple”. Wow Aerospace seems like something I would really enjoy visiting! Too bad no photography is allowed. I can’t believe I havent made it to France yet! Your photography is stunning as always, making me want to plan a tip straight away! There are so many places around the world to visit. It’s always difficult to work down that bucket list. We didn’t go to Avignon, but we loved Carcassonne. It might have been our favourite city had it not been so hot on the day we went. The south of France is lovely. we did a tour at Boeing when we were in Seattle because my husband wanted to and I was surprised at home neat I thought it was. Just the space they needed to build the planes was impressive. So I would certainly try for the Airbus tour. Tolouse looks like a city packed with quite a bit to do, and plenty of variety for families. Did you also get to the Museum of Flight in Seattle? We loved it. Been to lot of French cities but missed Toulouse. I love European architecture and Place du Capitole looks so good. I would really love to visit all the churches, cafeterias, aerospace and other things you mentioned above. 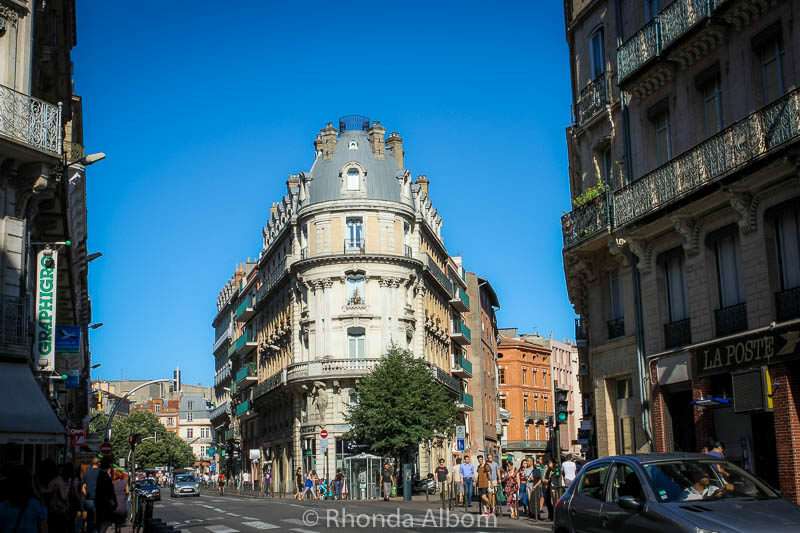 Toulouse is such a lovely city, it is worth a visit. Toulouse is indeed a revelation. The place enshrines the spirit of Europe and France and has a distinctive charm of its own. Have not traveled beyond Paris and hope to see the other towns and cities of Paris. 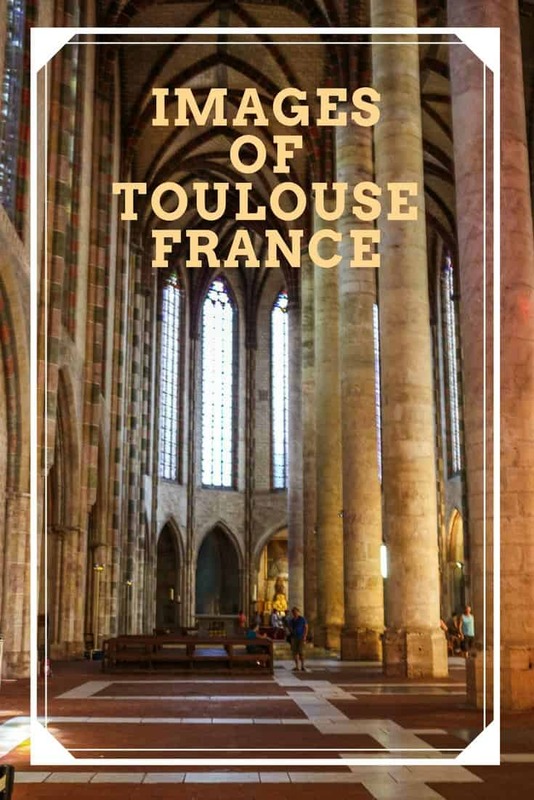 Will definitely have Toulouse on top of our list on our enxt sojourn to France. Southern France is quite different from Paris in every way. I encourage you to explore it. Have you been on one of those wheels anywhere? I have seen them all around the world but never ridden one. 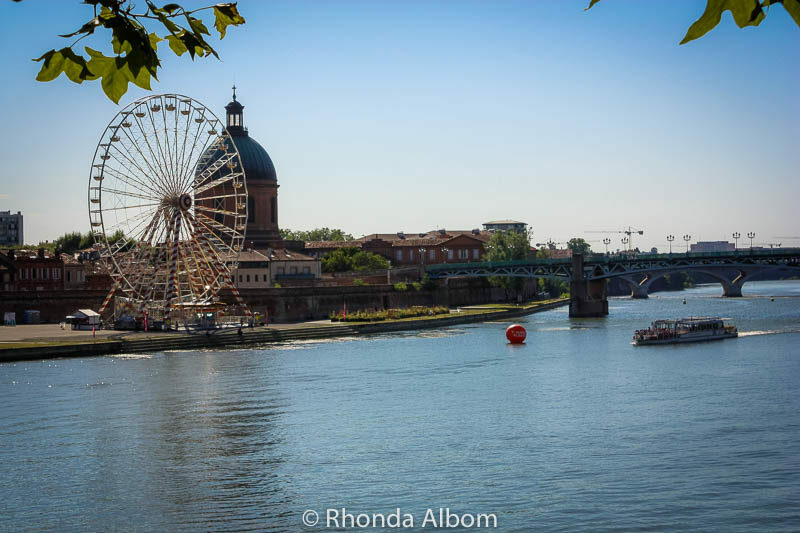 It seems like Toulouse has a little bit of everything! Beautiful history and architecture, and even an Airbus true – which looks really cool! The photo is from Cite d’Espace, a theme park. It is a replica of Mir, the Russian space station. Airbus tours are strictly no photos. Beautiful architecture, but what I’d really like see is the Airbus factory. I think it would be so interesting. The A380 is an amazing flying machine. The first class has fully reclining beds and a shower. Can you imagine that I lived in Paris, but I never got to visit Toulouse? I love your pictures, the lighting it’s just impressive. LOL – It seems people always neglect the places close by, as there is always tomorrow. We travelled through the Pyrenees and Midi Pyrenees and loved every minute of it. Never heard of Pink city! Thanks for adding to my intrigue. There is also a pink city in India. This pink city is so beautiful. 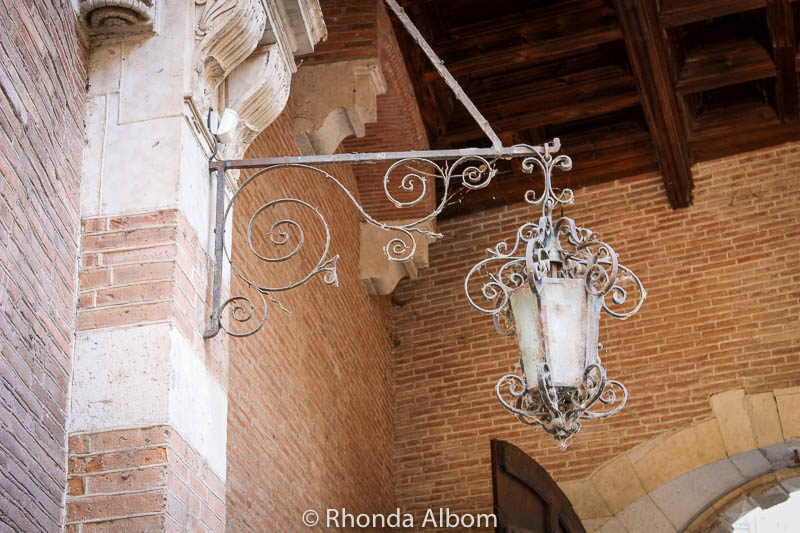 I love the intricate architecture and the relaxing atmosphere! It really is a stunning city, a great mix of the new and old, and filled with delicious food. You won’t be disappointed if you get there. We love to walk off the beaten path and into the locals part of town. It’s the best way to really learn about a place. 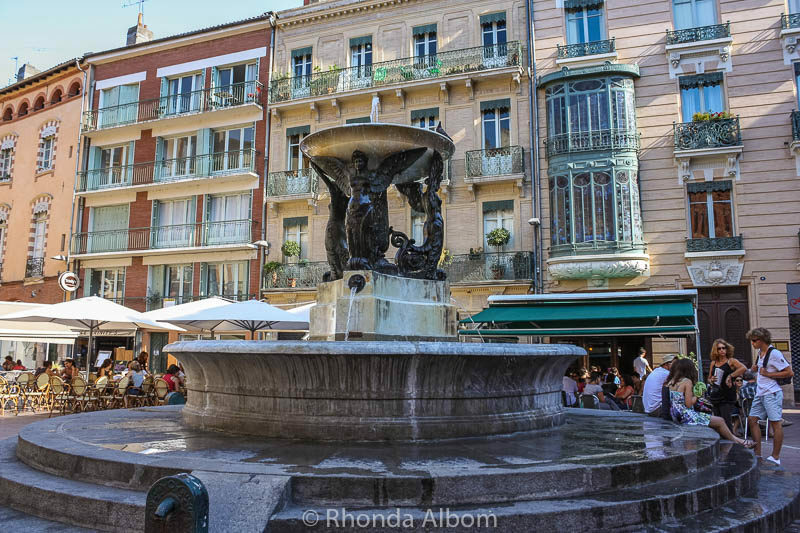 Toulouse could be a part of our northern Spain itinerary next year! Yes, it was part of our Spain itinerary. The city took us a bit by surprise as well. Can you visit him while you are there? It would be a great city to see with a local. Oo la la. France looks interesting especially with a MacDonald’s. I wonder if they have any special lunches there? Oo la la. 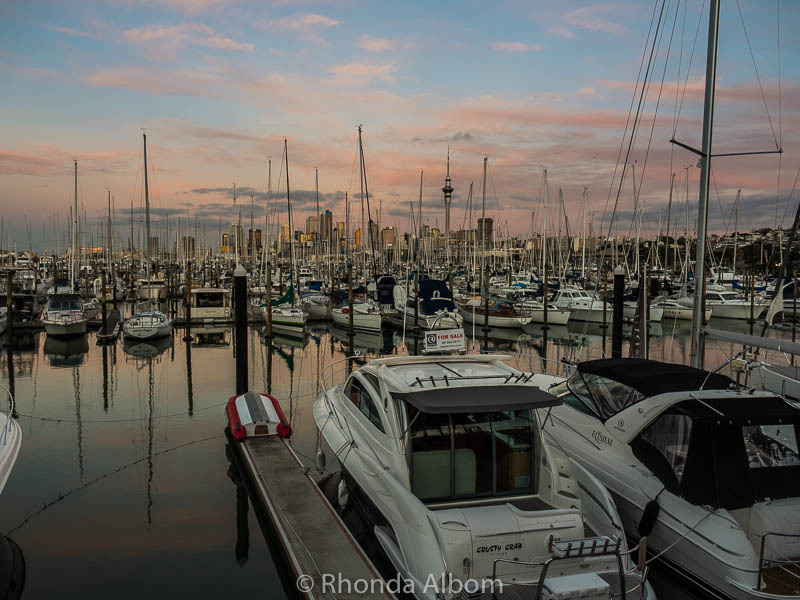 Great photos Rhonda. Well done my friend. See ya. I am sure they would have some sort of special sandwich. Here in New Zealand, they offer a Kiwi burger. Too bad you didn’t have time to get off and see the city. I m planning a trip to Andorra and it is very close to Toulouse. I was looking at flights yesterday. After seeing your post, I feel like I want to head to Toulouse and go from there to Andorra, rather than going from Barcelona. It looks like a beautiful city! Are you trying to choose between Barcelona and Toulouse? That would be a tough choice, as they are both such great cities. I spent a few days in Toulouse to visit a friend. Honestly, didn’t know what to expect, I was just going to see her. Turns out to be a lovely place. I’m glad I went. 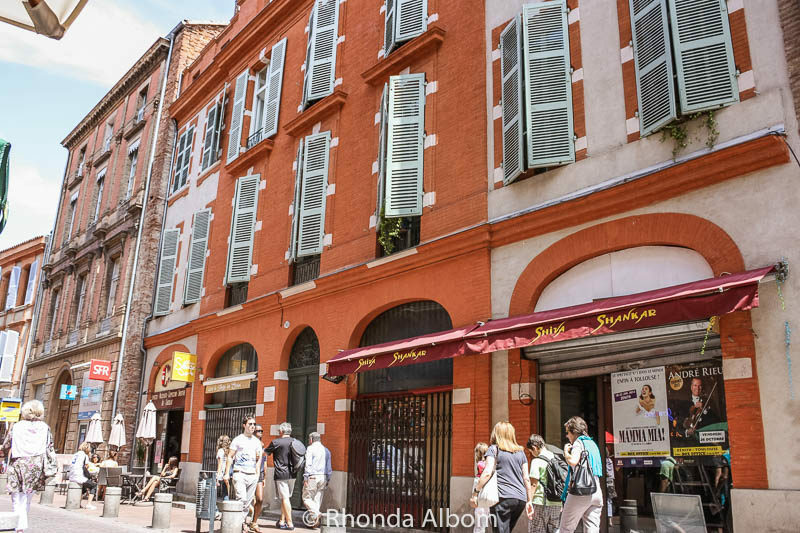 There are so many great places to eat in Toulouse, how wonderful that you got to enjoy the city with a local. France has so much to offer, so different in the different regions. Oh, and the crepes were great, we had savoury crepes as well as dessert ones. Great post and photos. bookmarking for the future! Looks like there is a lot to do and the town looks so pretty with all the red! 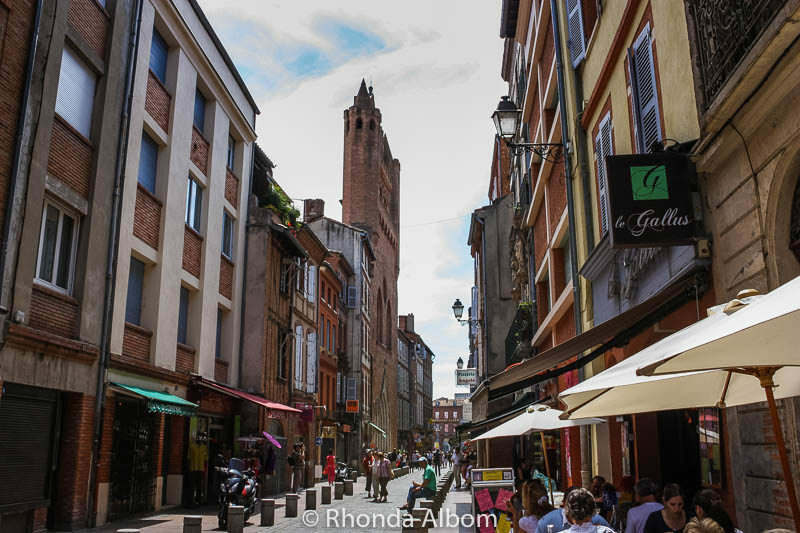 Toulouse is a town loaded with interesting things to do. I love that the nickname of the city is the pink city. I’m glad that even though the bricks are faded, they’ve kept the buildings in their true form. Musee St. Raymond sounds like a really interesting museum and would definitely be on my must-see list – I mean, a basement cemetery!? It’s a basement cemetery that they didn’t know was there until they began excavating. I don’t see much being written about Toulouse — this is a great post, with lots of helpful information. Thanks for taking the time to write it up! I don’t know why it is so overlooked, Toulouse is a fascinating city. Toulouse looks really quite appealing and it makes me a little disappointed I decided against visiting earlier in the year. The faded red-brick buildings really give it a distinct sense of character. Seems like theres a lot to do there too. Next visit I suppose. We try to never look back, always move forwards. There are always places we skip as we can’t get everywhere. Next time you can visit Toulouse. If you google “Pink City” a city in India will come up first, but yes, Toulouse is nicknamed the Ville Rose or Pink City. Beautiful! 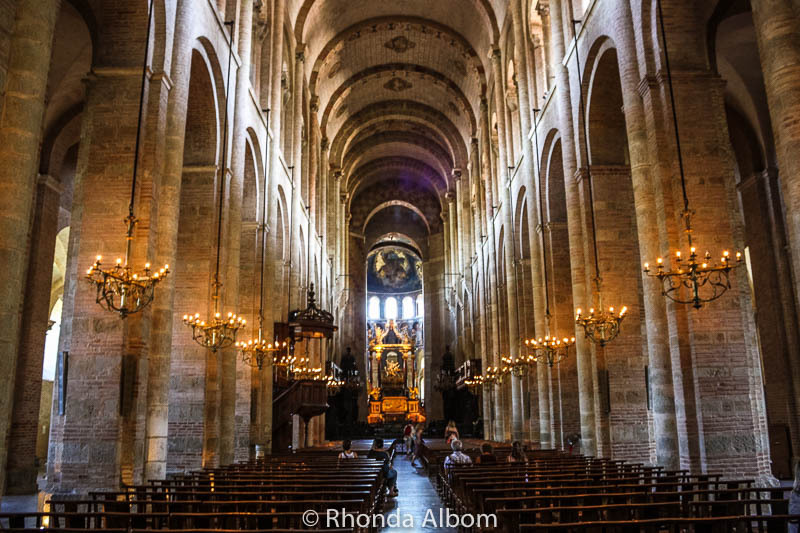 France is one of my favorite countries and I’ve really enjoyed my visits outside of Paris – but there is still so much I haven’t seen there. Toulouse looks like a place I would really like. We didn’t explore anywhere near enough of France, just the south through the Pyrenees, and Paris. Might have to drop by on my upcoming tour of Europe … so many attractions! We were glad we visited, and even stayed a few days longer than planned. I really liked your architectural style of photo. 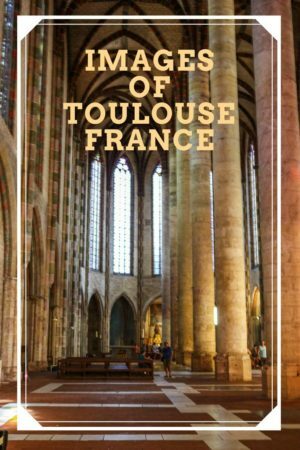 I never thought about visiting Toulouse although I have heard about it for many years, but I think this piece has some great reasons to do so. Hoping to spend a few months touring France soon, fingers crossed. 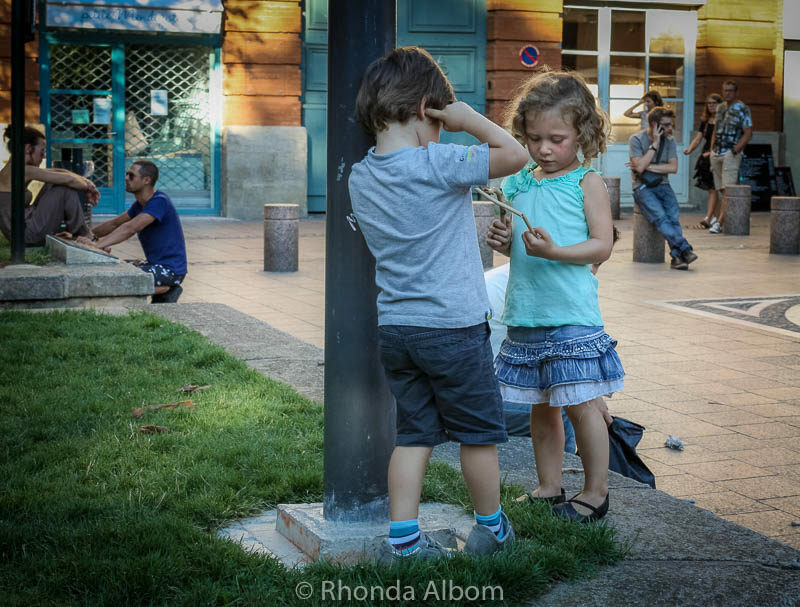 We loved Toulouse and stayed several days longer than we had planned when we arrived. 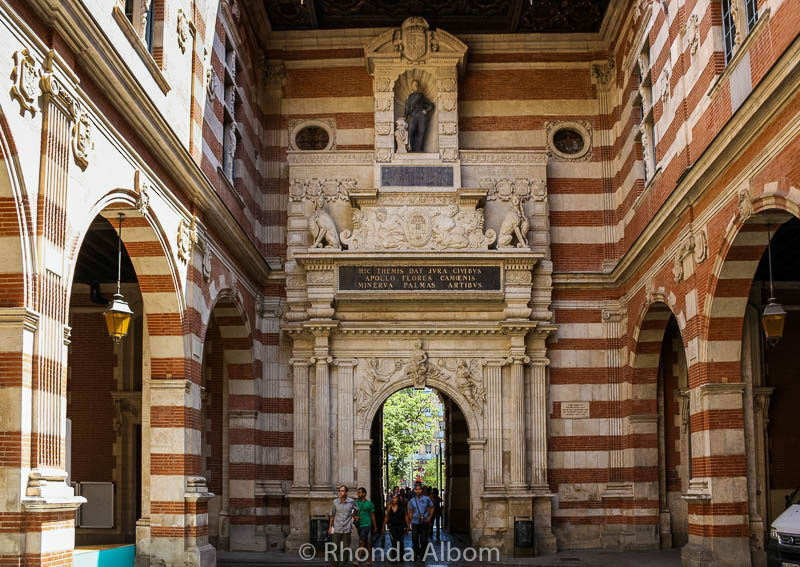 Toulouse looks like such a beautiful and “off the beaten track” place to visit in France. I’d love to see it one day. Everyone seems to concentrate on Paris yet there are so many other wonderful towns to enjoy and this one has such a nice mix of grandeur and simplicity. 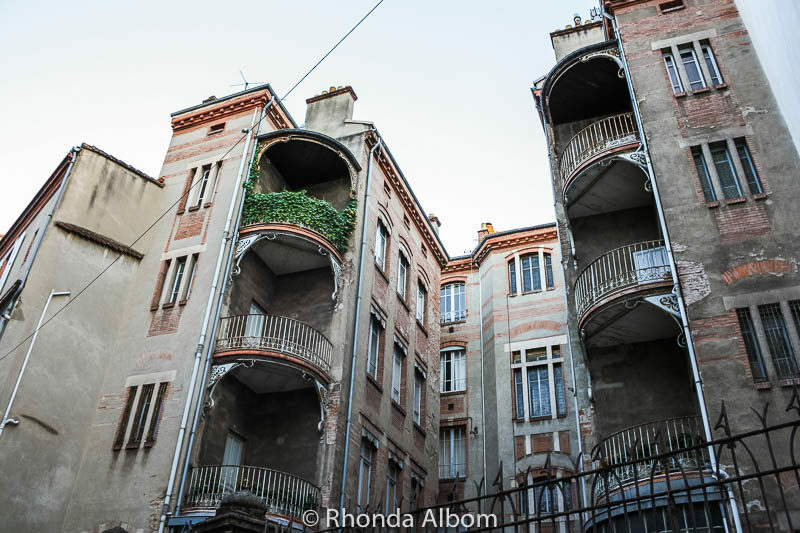 Anda, you would love Toulouse, it has a certain sophistication that you don’t find everywhere. Those Cathedrals are so stunning! I bet it was incredible walking around such lovely buildings. Toulouse was our favourite city in France. I am surprised it isn’t better known. That little boy and girl were adorable. I just couldn’t resist. 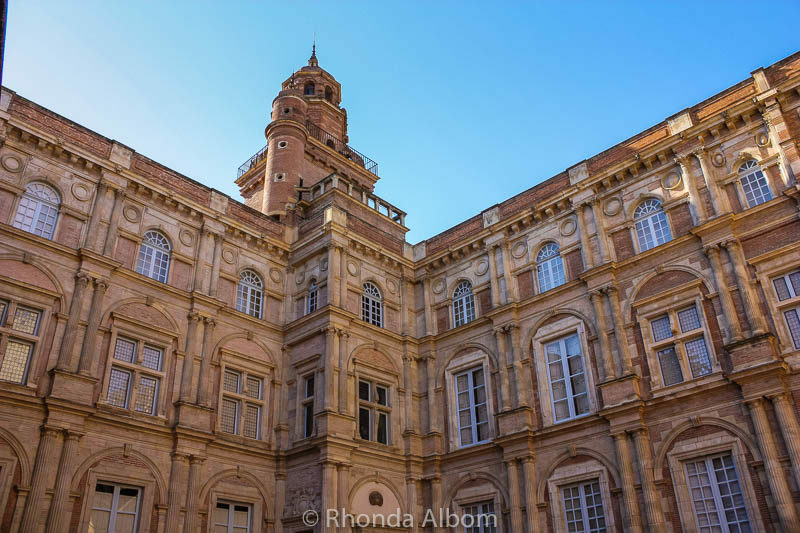 I have gone pass Toulouse several times when we have drove to Paris and we stopped once for some lunch but it was not long, I had no idea that they have so many pink buildings and such a beautiful architecture. I loved your pictures and if we drive through France again, I will stop to see it better. Have a lovely weekend Rhonda! Spend a night, it’s a great city. My favourite in France of the ones we have visted. 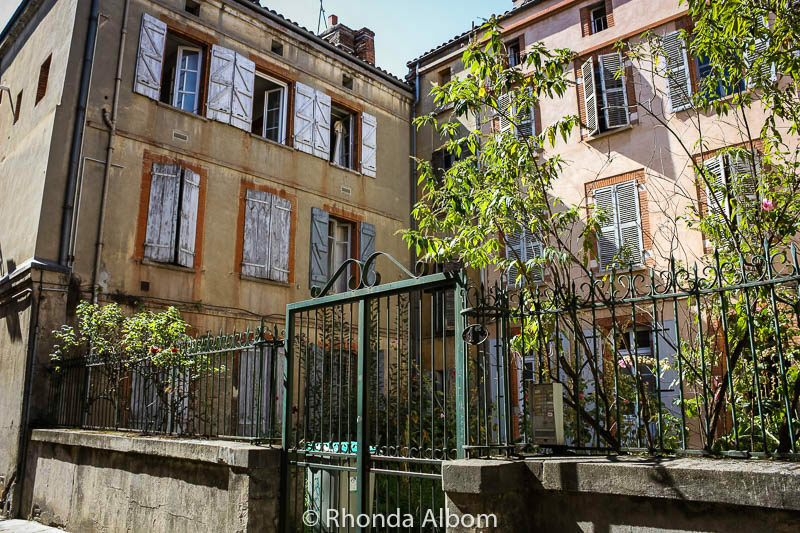 I love your ‘Off the beaten path’ photos, especially the apartment block with the ivy (or something) growing on the top floor balcony – and nowhere else. I know it has to be growing out of a pot but because the pot isn’t in the photo it looks quite surreal. That is exactly what attracted me to take that photo. I love the way the ivy looks. What a beautiful place. I love to travel. Maybe one day I can do it again. There are so many places to go, it’s hard for me to find places to go back to, although there are so many I would love to visit again. It’s the old faded red brick, but the city does feel pink, if that’s possible. That one sign looks like a small scale Times Square without all the gaudy. Me too. I love Romanesque and Gothic, plus I grew up in Chicago and am a big fan of red bricks. McDonald’s…yuck. Just saying. Everything was fabulous until McDonald’s. They are everywhere aren’t they. Almost. I want to ride the Ferris Wheel. Yes, but at least this McDonald’s is a bit different. And, it usually has free wifi. Looks like my kind of place to visit. Thanks Tanja. That’s what we found. So much to do. It looks wonderful there. I loved Brittany in north western France. The people there were so friendly, but Paris does have a bad reputation for rude people.